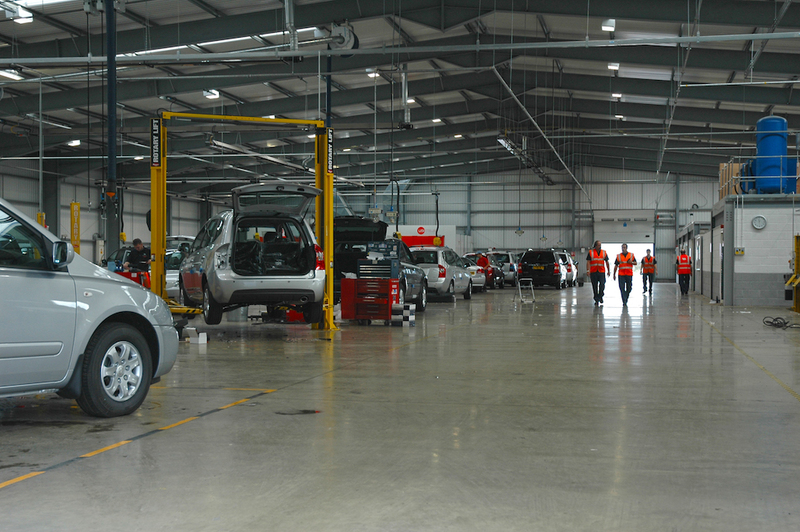 The ABLE Group is a well resourced (£430m+ asset base) privately owned company with a strong track record in delivery. It has the ability to make quick decisions and is fully prepared to speculate to meet the demanding requirements of it’s customers. 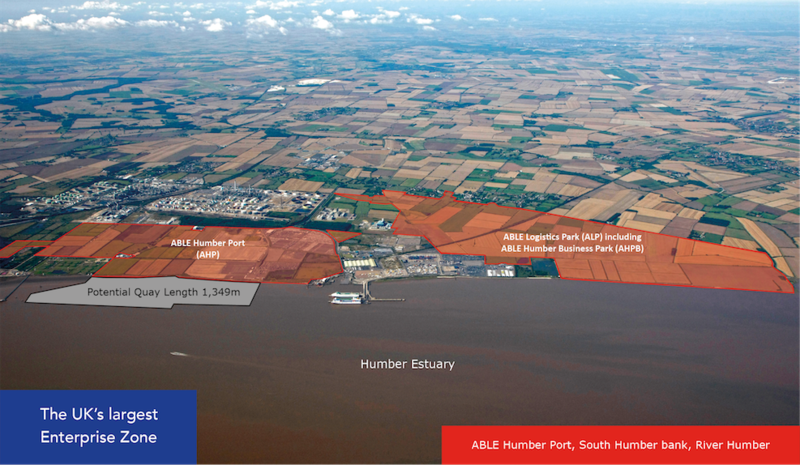 The full ABLE Humber Port project comprises three developments: the ABLE Humber Port itself (AHP); the ABLE Logistics Park (ALP) and the ABLE Humber Business Park (AHPB) providing a developable land area of over 560 ha (1,383 acres). 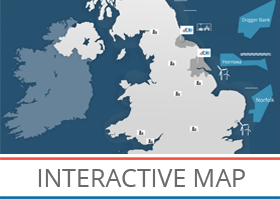 AHP forms part of the UK’s largest Enterprise Zone. 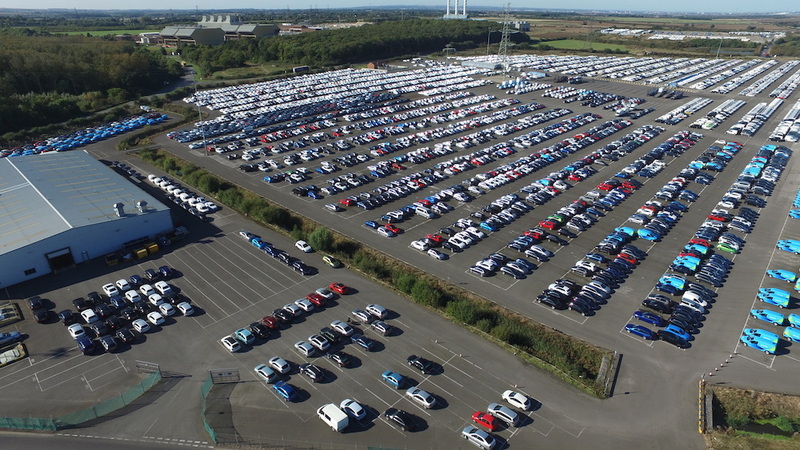 To date over 93 ha (230 acres) is occupied by vehicle distribution activities and a further 98 ha (273 acres) is currently available and can also accommodate peak seasonal requirements. The site has successfully accommodated this type of activity since 1999. 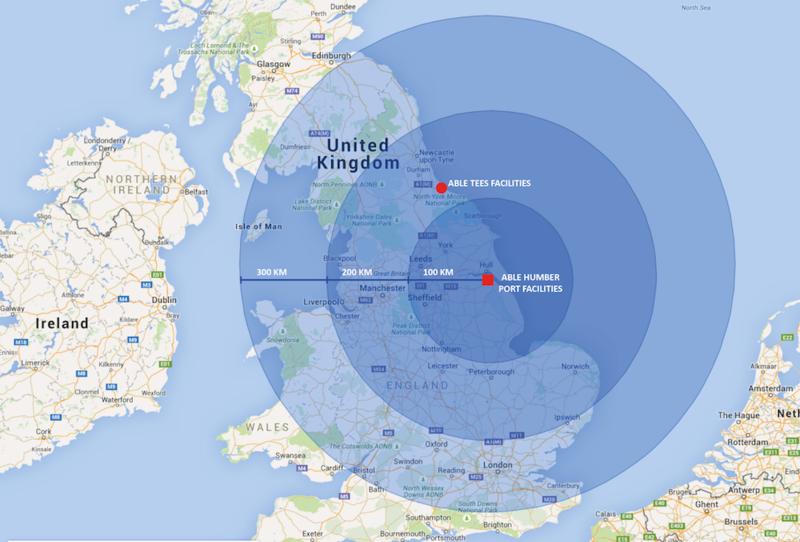 The central North Sea coastal location provides ease of access by sea – the Humber is over 3km wide providing straightforward entry/egress and manoeuvrability for most types of shipping. The central United Kingdom location provides HGV access to UK distribution outlets by road with dual carriageway access to major motorways (M18 35 miles [56km]; A1M 47 miles [75km]) and the current dualling of the A160/A180 is set to be completed by the end of 2016. AHP has an existing rail connection that is available for the import and export of vehicles. 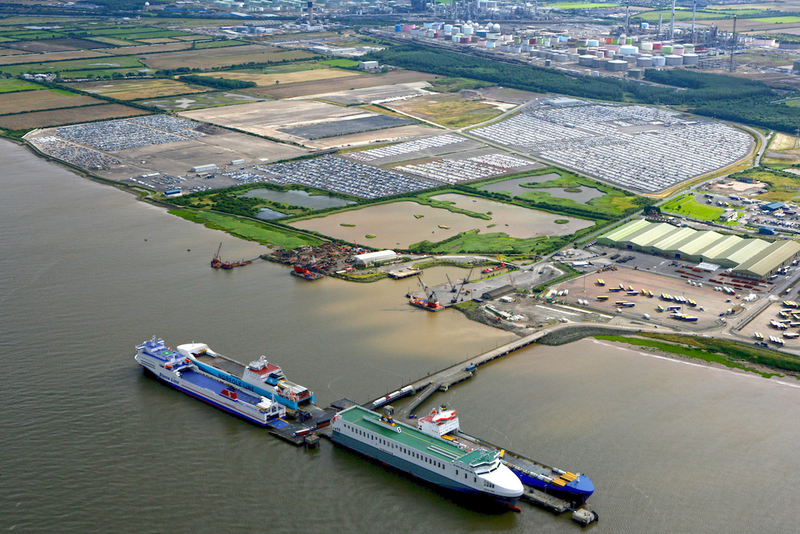 AHP is adjacent to C.Ro (the former Humber Sea Terminal). 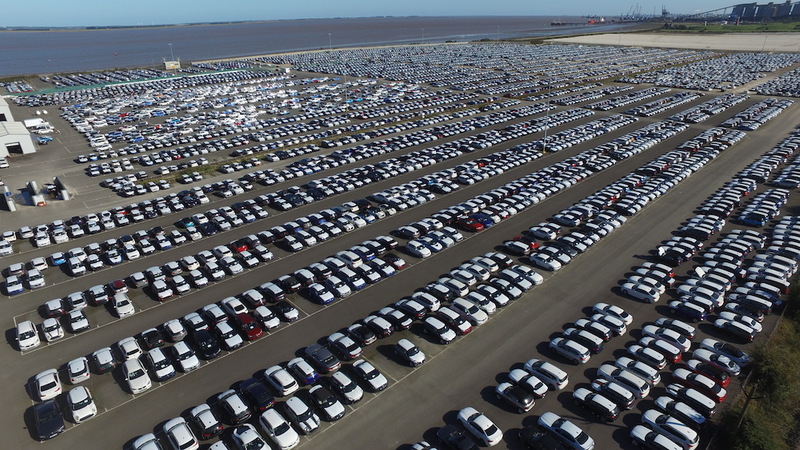 It is also within 1.85 miles [3km] of the facilities at Immingham Port, including DFDS. ABLE also has plans to develop its own Ro-Ro facility. AHP is a large green field development with no land contamination issues or associated contingent liabilities. AHP also prohibits the shipping and storage of potential bulk contaminants e.g. coal and biomass. The tarmac surfaces at AHP were not impacted by the exceptional tidal surge event in December 2013, in sharp contrast to neighbouring facilities. Furthermore on-going investment is increasing the level of protection to meet the Environment Agency’s exacting target to combat rises in sea level for the next 60 years. ALP is over 1m above the highest level of forecasted sea level increase. Since acquisition the location has not experienced any impact from air contamination. Flooding, hail, bird activity and freezing conditions have only rarely been encountered.